Anyone knows the command to hide/show tabs? The same using in Order Ticket, right click command. I'm tryng using TabControl, but didn't succeed. Last edited by Rudmax; 01-29-2018, 12:04 PM. 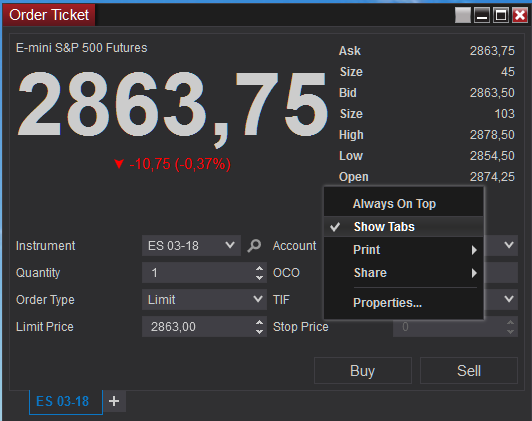 I'm looking to see if there is an easy way to toggle the Show Tabs option. If there is not, I would be happy to submit a feature request on your behalf for this.